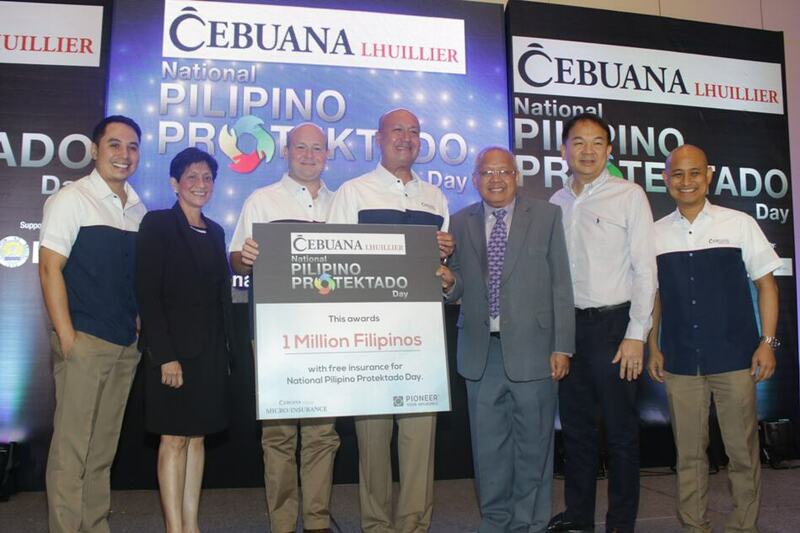 One million Filipinos officially joined the country’s rally to be a fully-insured nation as Cebuana Lhuillier—the Philippines’ leading microfinancial company—provides free microinsurance through its National Pilipino Protektado Day campaign. Helping Filipinos be more disaster-resilient and prepared against various calamities, Cebuana Lhuillier has declared July 21 as the National Pilipino Protektado Day as part of the company’s advocacy to build disaster-resilient communities and help the Insurance Commission achieve its vision of protecting 80% of the Filipinos with microinsurance by 2020. “For the past years, we’ve been constantly just introducing new and innovative products and services to the public to be able to help them be financially included. This time, with our National Pilipino Protektado Day campaign, we decided to take a bolder step and took the initiative to really touch ground with those who are most vulnerable to calamities and directly offer them free microinsurance as a new way for them to be secured,” Cebuana Lhuillier President and CEO Jean Henri Lhuillier said. In partnership with Pioneer Insurance and with the help of various public and private organizations, free microinsurance were given out across the Philippines, prioritizing the most vulnerable communities, families and individuals from the marginalized sector. Reinforcing its disaster resilience advocacy further, Cebuana Lhuillier has also officially launched Cebuana Alerto during the culminating event. An android app that harnesses the digital mobile platform, Cebuana Alerto is designed to provide real-time vital information about disasters within the Philippines.